Last edited by Avara; 29th December 2018 at 08:55 PM. Next we're going to move on to trainer battles, the command for these isn't as straightforward as it seems at first glance. You can find a trainer's hex ID in any trainer editing tool, but what do I mean by "type of battle"? I'm going to list these one at a time. As I'm covering both FireRed[FR] and Emerald[EM], keep in mind that FR has the VS Seeker whereas EM has the Match Call function instead, so some types of trainer battle may not work correctly in a certain ROM. = I'll say this after you've\nbattled me. We're just using Trainer ID 0x001 for the sake of consistency. = Please, take the X Badge and this\nTM! = [player] received the X Badge\nfrom the Gym Leader. = TM01 contains X move! = You don't have enough space in\nyour bag. Just like before, we've got pointers for the initial encounter text, the message that displays when you win the battle and for after the battle. Although the Gen III games have special flags set aside for Badge functionality, I used 0x231 here for the sake of easiness, as well as Trainer ID 0x001 again. Notice that beside @DefeatText we have @WonPointer which contains the section of the script that rewards the player. fanfare 0x171 is the jingle played in Emerald when a Gym battle is won. If you've been paying close attention or have scripting experience already, you should know what everything else is for by now! This battle type isn't used in FireRed. It's used with the PokéNav's Match Call rematches - see the Emerald section of trainerbattle 0x5. 0x3 is unique in that it allows the script to continue once the player wins the battle, as opposed to displaying a few messages and ending. Substitute the "..."'s for whatever you like and that's pretty much it! All you need is a trainer ID and a pointer to the defeat text. This one is used for standard double battles and is set up the same way in both FireRed and Emerald. = We'll say this after you've\nbattled us. = You can't double battle with only\none Pokémon! The trainerbattle commands concerning double battles have a nice built-in check - if the player only has one party member, the battle won't happen. 0x5 has different uses depending on your ROM. [FR] In FireRed, it's used for VS Seeker rematches. = I challenge you again! The first part closely resembles a standard trainer battle, using trainerbattle 0x0 and its usual parameters. The special2 LASTRESULT 0x39 and the following couple of lines correspond to the VS Seeker - don't worry too much about that for now! @RematchPointer contains, as labelled, our rematch - which is set up exactly the same as a standard battle, except we've used trainerbattle 0x5 as our prefix instead. = Do you have a PokéNav? Again, we're focusing mainly on the battle stuff, so don't worry too much about what the specials are there for. Notice that we've used trainerbattle 0x2 for the first part, which otherwise looks like a standard battle script; only we've got @NavPointer at the end to allow this trainer to be registered in the player's PokéNav. Our @RematchPointer looks the same as a standard trainer battle, only with 0x5 as the battle type instead of 0x0. Do you remember how trainerbattle 0x1, commonly used for Gym Leaders, allowed you to go to an extra pointer after the defeat text("You beat me..."), but before the default final message("I'll say this after you've battled me")? Trainerbattle 0x6 also allows for this in double battles. In EM it's used often with Gabby&Ty. It has no known use in FireRed. This type of trainerbattle has different uses in either ROM. = We challenge you again! It's similar to the single VS Seeker battle script, only it has the built-in check to ensure the player can't take part in the double battle with a single Pokémon. [EM] In Emerald, trainerbattle 0x7 is used with 0x4 and 0x8 for double battle rematches through Match Call. The only instance I can think of for trainerbattle 0x8 is Tate & Liza's Gym - seeing as all the Gym Leaders have double battle rematches in EM, it's used with 0x7. So, it's like a double Gym battle followed by a double battle rematch. = [player] received the X Badge\nfrom the Gym Leaders. It's quite similar to trainerbattle 0x3 in that you can safely have whatever you want before and after it. @DefeatText will display if the opponent loses as usual, but @WinText will display if the opponent wins against the player. Why have I got a special 0x0 after the battle? That special silently heals the player's Pokémon, so that it's safe for them to go on if they lose. Not only does it let you display different end-of-battle text depending on whether or not the player loses, it also displays Professor Oak's tutorial-text during the battle. Hit save and test. Bye, Oak! What is the difference between special and special2? 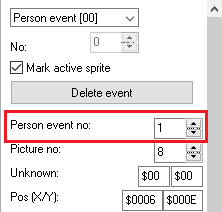 The latter can return a value to be stored in a variable. We're going to focus on the former for now! So, what is the special command used for? It's used to perform a particular function in-game. For demonstration purposes, I'm going to activate Emerald's National Pokédex. = Your Pokédex was updated! Further information on special and special2 commands for FireRed can be found here and Emerald hackers will want to check out this post. What does this do? On entering the building, this script runs to make sure the player respawns at the last-visited Pokémon Center on white-out. Last edited by Avara; 17th December 2018 at 09:02 PM. Do you need to make a NPC or other OW disappear? Kind of a short section, but if you need a script that involves having the player/NPCs enter/exit a building or something, you'll need to know how to do this. Let's have an example script, and go over some points from earlier! 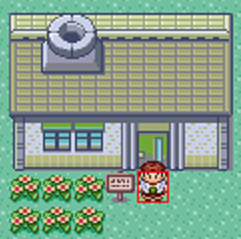 For starters, I've just put the Professor's OW outside his lab, so that he's blocking the doorway. We've made him face the door before it opens (because if he didn't that would look very weird) and then he walks through the open door. Next, we've used hidesprite to hide the OW, and set a flag to make sure that it doesn't reappear as soon as the script ends. = What a lovely day! = Oh[.] I spoke too soon.